As the holidays approached in the winter of 1907, the rector of St. Paul’s Episcopal Church, the Reverend Doctor Lewis Brown (1855-1939), preached to his congregation about the many rewards of selfless acts of kindness towards those who were less fortunate. Three young women from St. Paul’s volunteered to accompany Reverend Brown on Christmas Day to both City Hospital and Deaconess Hospital, where they gave sprigs of holly and handmade Christmas cards to patients. The women were so enthusiastic about their experience, they began asking friends to join them in forming an organization to provide ongoing care to underserved patients. St. Margaret’s Hospital Guild was officially organized on Tuesday, March 31, 1908. Founding members were Jessie Cleaveland (later, Mrs. William Mullen); her sister, Edith (Mrs. Fred) Schnabel; Emily McGibney; Georgiana Bond; Josephine Morris; and Agnes Brown. The Guild decided on the name “St. 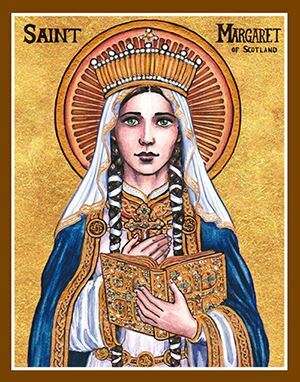 Margaret’s” in honor of Queen Margaret of Scotland (1045-1093). An English princess, Margaret became queen upon her marriage to Scotland’s King Malcolm III. She could read and write, which was unusual for a woman in the Middle Ages. Margaret helped Malcolm to be a better ruler, influencing him to work out disputes, instead of going to war. For her sense of justice and her efforts to improve the conditions of the poor, Margaret was canonized by Pope Innocent IV in 1250. Although the Guild’s meetings were initially held at St. Paul’s Episcopal Church or in church members’ homes, the group soon expanded beyond the parish, becoming a citywide, nonsectarian association. The focus of St. Margaret’s Hospital Guild became the brightening of the lives of patients at Indianapolis’ City Hospital. Built in 1859, City Hospital was the first hospital in Indianapolis that was open to the general public. 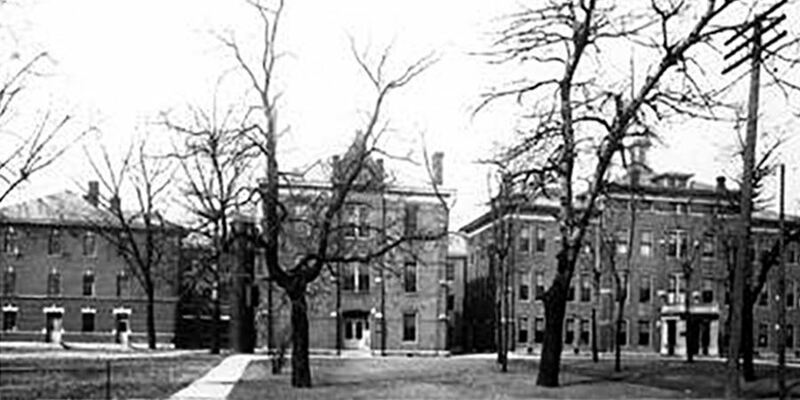 It became the only local facility available to low-income and indigent citizens after the construction of privately owned St. Vincent, Deaconess, and Methodist Hospitals. City Hospital was renamed Indianapolis General Hospital in 1947, Marion County General Hospital in 1959, Wishard Memorial Hospital in 1975, and Sidney and Lois Eskenazi Hospital in 2013. The Guild has conceived of many initiatives to aid in the healing of hospital patients. One early project was the establishment of a library at City Hospital. By sponsoring “book teas,” the members gathered up more than 1,400 books that patients could read while they were recuperating. In 1914, the Guild helped brighten up the hospital environment by raising the money to hire local artists to decorate the hospital walls with paintings and murals. Among the now well-known artists were J. Ottis Adams, Wayman Adams, William Forsyth, Carl Graf, Otto Stark, Clifton Wheeler, and T. C. Steele. The Guild implemented a wide variety of money-making projects in its first half-century. One was a circulating library, which was located at 415 East 34th Street, across the street from Tabernacle Presbyterian Church. Other events included the sponsorships of a ballet, a lecture series, a vintage automobile show, musical programs, charity balls, and movie premieres. In 1941, St. Margaret’s Hospital Guild was granted 501(c)(3) tax-exempt status by the Internal Revenue Service. Obtaining the nonprofit designation allowed the Guild to receive contributions from individual donors who wanted their contributions to be tax-deductible. It also qualified the Guild for grants from foundations, corporations, trusts, and government entities that are only available to not-for-profit groups. Although the funds raised by the Guild grew steadily, it became increasingly challenging for the Guild to conceive of interesting new ways to raise money for the hospital, year after year after year. In 1960, an idea for an event turned out to be a project that would serve the Guild’s mission for years to come. A new Guild member, Dessie Partenheimer Koch, who had recently moved to Indianapolis from the San Francisco area, related the details of a fundraising event in which she had participated in California. 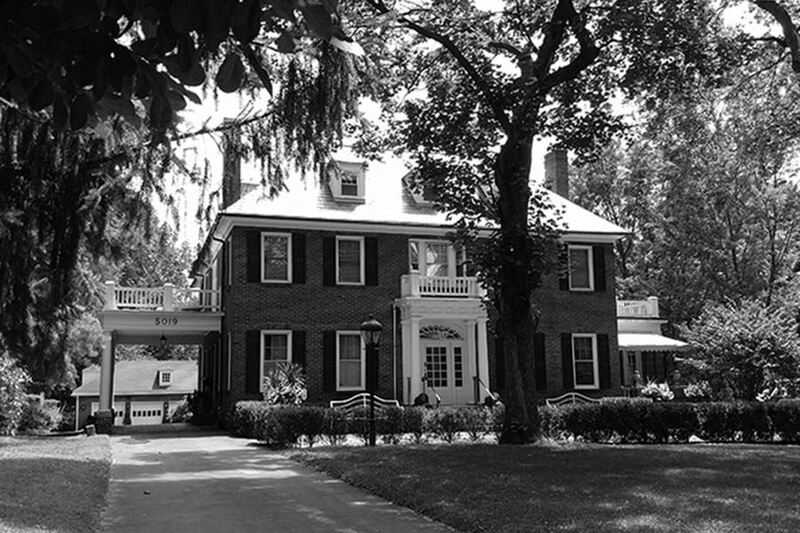 For the three years prior to her moving to Indianapolis, the museum guild to which she belonged had located empty mansions, fixed them up, and charged admission for the public to tour them. The members of St. Margaret’s Hospital Guild enthusiastically embraced this concept, and the first Decorators’ Show House debuted in 1962. Now embarking on its 57th year, the Decorators’ Show House and Gardens has become the Guild’s signature event. It’s the longest-running tour of its kind in the country. Proceeds from the annual project have funded the burn unit, radiology, mobile mammography vans, ambulance services, renovations in the newborn and special care nursery, and wellness initiatives for patients, family members, and hospital medical staff. In 2012, the Guild became the sponsor of the Limestone Falls on the grounds of Eskenazi Hospital. The area provides serenity and beauty for patients, family members, medical staff, and visitors to the area. The Guild provided significant funding for the Sandra Eskenazi Center for Brain Care Innovation. In 2017, the hospital’s outpatient pharmacy was named the St. Margaret’s Hospital Guild Pharmacy. The Guild has recently pledged $750,000 to the new Center for Nursing Excellence at Eskenazi Health. St. Margaret’s Hospital Guild is proud to be one of the pioneer volunteer groups in the City of Indianapolis. The Guild is grateful to the homeowners, designers, landscape architects, sponsors, donors of in-kind services, corporations, and tour goers who help make the annual event possible. The members of St. Margaret’s Hospital Guild pledge to continue their support of the underserved in the community through their fundraising activities and their volunteer service to Eskenazi Health. For additional information on St. Margaret's Hospital Guild, you can read more about it on the HistoricIndianapolis.com website.